An exciting opportunity has arisen for an Compliance Officer to join our compliance team based in Enbrook, Folkestone. You will be delivering the business centric Compliance Guidance or Monitoring and other assurance work for the regulated businesses within the Saga Group in line with the standards required by the businesses, and our principle regulator, the Financial Conduct Authority (FCA). You will bring understanding of the concepts of risk, controls and materiality, as well as excellent communication skills verbally and written. Understands, interprets and applies the Principles, rules and relevant Sourcebooks of the FCA Handbook. Provide the Group businesses with Compliance sign-off for material such as processes, procedures, call scripts, financial promotions and training etc. Assist the Compliance Management Team in keeping abreast of all new development and consultations and relay this to the business at senior management level. Contribute to the timely delivery of the annual Compliance Monitoring Plan for the regulated businesses within the Saga Group in line with the standards required by the businesses, and the FCA. Working independently, or with support from Senior Compliance Officer(s) and Manager(s) to deliver assigned work. 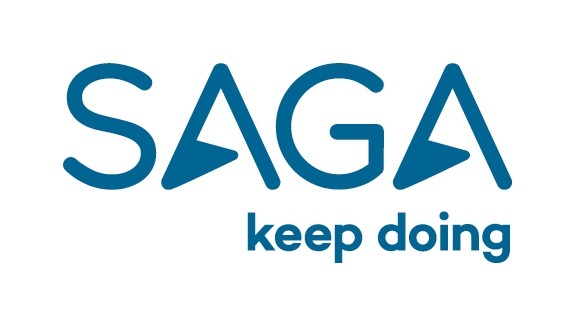 Developing a good knowledge of business areas and industries in which Saga operates. A first point of contact for queries of a FCA technical regulatory nature. Provide Compliance support, business sign-off and technical guidance to the FCA regulated businesses within the Saga Group. Analyse, and interpret regulatory papers, and developments, producing Executive Summaries where relevant to a standard required for distribution to senior management. Delivering end-to-end Compliance Monitoring Reviews, working with a high degree of autonomy. Identifying the key risks and controls. Designing and executing appropriate testing strategies to provide a robust opinion on the design and operating effectiveness of the controls. Agreeing pragmatic management actions for reportable issues. Drafting audit issues, full audit reports and other documentation to a high standard. Using knowledge of the business and risk to ensure that the significant issues are identified, and reported with authority and credibility. Note – The requirement to assist with Guidance or Monitoring will be determined by whichever role is outside of your day-to-day role. Tracking actions agreed by management through to implementation and validating the effectiveness of the actions taken to address issues identified and to mitigate risk to an acceptable level. Building and managing relationships with business management. Self-identifying training needs to ensure knowledge of FCA regulation is up-to-date and develop soft skills, such as relationship building as well as technical or industry knowledge. Report upwards to the Senior Compliance Officers and Compliance Manager(s), keeping them up-to-date on review progress and any significant issues that have been identified. Provide proactive Compliance Monitoring or Guidance support to the FCA regulated businesses within the Saga Group up to and including senior management level. Demonstrates good knowledge of FCA regulatory requirements with the ability to achieve the required standard to sign-off as compliant processes, procedures, call scripts, training material, financial promotions etc. Ability to manage a portfolio of work, and to balance the demands of maintaining high quality work and delivering to deadlines. An individual who can hold their own when closing out review findings with Senior Management. Someone who clearly understands the concepts of risk, controls and materiality. An individual with a background in monitoring or a role with similar intellectual demands and principles – e.g. use of analysis, logic and sound judgement, or has worked within an FCA regulated business. An individual who has shown through their past work experience that they have the aptitude and commitment to progress with an organisation – e.g evidence of promotion and progression. Someone who has excellent listening skills and is able to use these skills effectively to build strong relationships across the business. Ability to assist with Compliance Guidance. Educated to degree level (desirable) and a good level of secondary education (necessary). Professional qualifications that may be suitable for the role include – CII, PIIA, other risk qualifications or relevant experience. Has a methodical, analytical and enquiring mind and tenacity, whilst maintaining objectivity. Quickly gets to grips with understanding new businesses, process or products. Able to logically analyse and assess these. A great communicator. Can form a rapport with people at all levels of the business. Listens to others, and demonstrates that they have listened. Is not intimidated by challenging or senior individuals in the business. Has the courage of their conviction. Sound use of judgement. Raises and reports only material issues, and is able to agree practical and efficient solutions with the business. A person with a positive outlook, who is flexible, quickly adapts to the changing needs of the business and the objectives of the department and can work to tight deadlines. A “team player” – someone who others like to work with, and who supports the management team. Has the highest level of integrity, and is seen to uphold the standards and policies set by the department and the Group at all times. Keeps sensitive business or department information secure and confidential, without exception.